A welcome issue in paperback for this superb collection of ten stories. Each is a very personal retelling. Sometimes the author is the storyteller; sometimes a child. Animals figure strongly in them --- and the tales are rich in the goodwill, anguish, fear and humour that animals touch in humans. To read these and to talk about them with children from eight upwards is to see how a gifted writer for the young can show the really significant events of childhood. 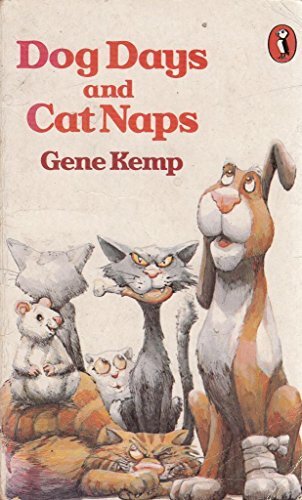 There's no earnest seriousness about Gene Kemp's writing; but an unfussy care for children and language comes through the pages. Readers and listeners will find their own favourites in the collection. I love The Grey Invader, a spellbinding piece of English village life in wartime and The Plagues, where the fantastic and the fabulous lie within the ordinary family holiday jaunt. The Long Crawl catches the competitive hilarity of School Sports Day and Joe's Cat shows how a writer who is in tune with her audience can deal with grief without ever being sentimental. Rich, vital reading.